The US congress had doubled the outsourcing fee for H-1B visa imposed on the Information Technology professionals to $ 4000, which was previously $2000 valid till September 2015. The IT industry was prepared for the renewal of fee, but nobody expected it to double. IT companies apply for thousands of visas a year and the increase will have a negative impact on their revenues. The service provider companies will be affected the most and the product companies will also feel the pinch. As the rupee is also trading weak against the dollar, the hike in outsourcing fee would adversely affect the revenues of the Indian IT industry. The matter had also been shared by the Prime Minister Narendra Modi with U.S. President Barack Obama on the proposed legislation in the US Congress relating to H1B and L1 visas“. 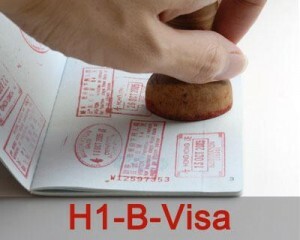 With the Presidential elections about to held in 2016, the debate around H-1B visas has been gaining popularity. Large IT companies in India being very dependent on the H-1B visas are going to suffer the most with the increase in outsourcing fee. Although, the industry may protest against the hike in fee but they can’t expect a sure shot solution of the problem. The industry may hope that Prime Minister Modi tackles the issue through diplomatic channels.